House Clearance Service In Leven West Dunbartonshire Hardgate Jamestown Linnvale Renton Whitecrook. Hello, we have a three bed roomed terrace in Leven – West Dunbartonshire, with cellar and a small yard with lean to, recently vacated by tenants. As were unable to work at present we need to clear and clean the property as soon as possible. We already know it will require further work before another prospective tenant could move in. We can get photographs for you room by room if that would help with your house clearance quotation and would aim to have them by the end of today. Hoping you can help. 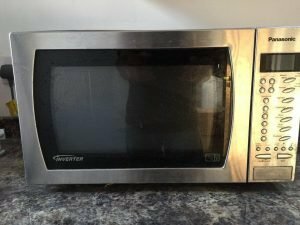 A stainless steel Panasonic Inverter 20L microwave oven. 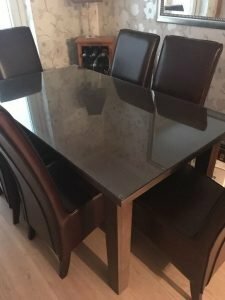 A black glass topped rectangular dining table, together with six high back dining chairs, upholstered with chocolate brown faux leather. 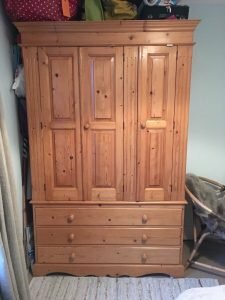 A small solid pine two door double wardrobe on ball feet, having two large drawers to the bottom. 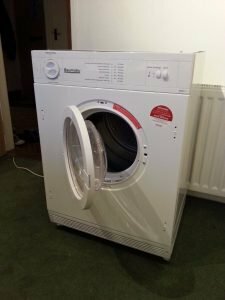 A white Baumatic BTD1 integrated 6kg tumble dryer. 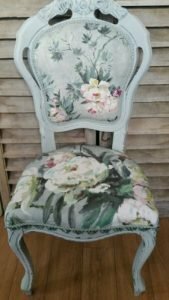 A painted grey solid carved wood occasional chair, upholstered to the seat and backrest in floral patterned fabric. 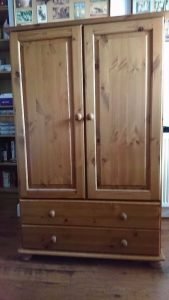 A large tall standing solid pine triple wardrobe, having three large drawers to the bottom. 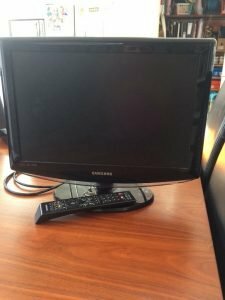 A black Samsung 19inch flat screen HD television. 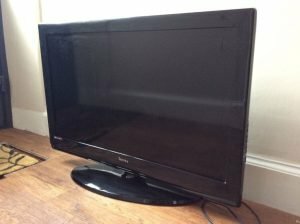 A black Technika 32 inch flat screen television. 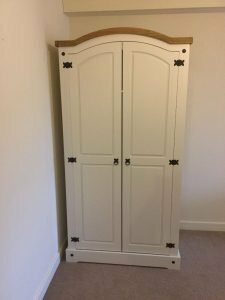 A large cream painted solid pine arched top double wardrobe, with black cast iron mounts. 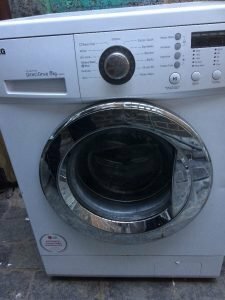 A white LG direct drive 8kg under counter washing machine. 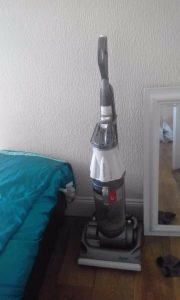 A grey and white Dyson DC25 animal upright vacuum cleaner. 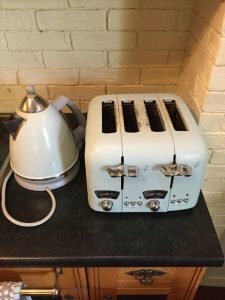 A cream Delonghi kettle, together with the matching four slice toaster. 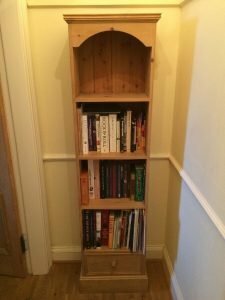 A tall standing arched top solid pine shelving unit, having one small drawer to the bottom, together with various books. 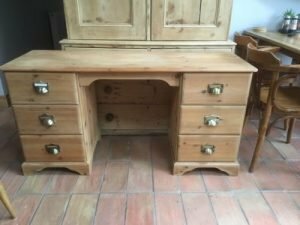 A large rustic solid pine writing desk, having six drawers in total, each with brass handles. 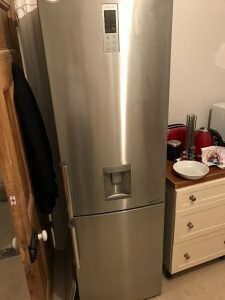 A tall standing stainless steel LG two door fridge freezer, with built in water and ice dispenser. 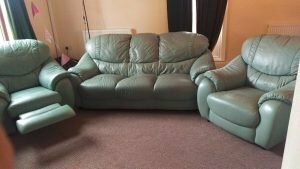 A three piece vintage recliner sofa suite, comprising a three seater sofa and two armchairs, upholstered in olive green faux leather. What Exactley is Grant of Probate?